Chinese migration since the nineteenth century have led to the spread of Buddhism to maritime Southeast Asia. Recently, scholars of Buddhism and historians of Chinese religions have begun to consider the connected history of Buddhism in China and Southeast Asia, using Buddhist records, epigraphic sources, as well as oral history interviews. In this talk, Jack Chia explores the transregional Buddhist networks connecting Southeast China and the Chinese diaspora from the nineteenth century to 1949. He discusses how new patterns of Buddhist mobility contributed to the circulation of people, ideas, and resources across the South China Sea. 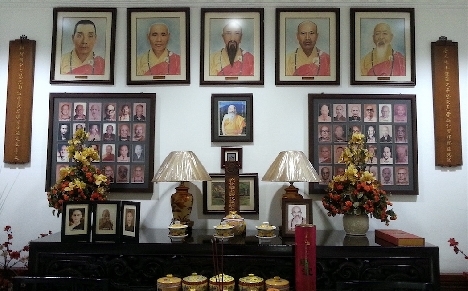 He shows that, on the one hand, Buddhist monks and religious knowledge moved along these networks from China to Southeast Asia, while money from wealthy overseas Chinese was channeled along the networks for temple building in China; on the other hand, Buddhist monks relied on the networks to support Chinas war effort and facilitate relocation to Southeast Asia during the Sino-Japanese War. Jack Meng-Tat Chia is a Senior Tutor in the Department of History at the National University of Singapore and currently a Postdoctoral Scholar at the Center for Buddhist Studies, University of California, Berkeley. Born and raised in Singapore, he received his MA in East Asian Studies from Harvard University, and his PhD in History from Cornell University. He is currently working on his book manuscript, entitled Diasporas Dharma: Buddhism and Modernity across the South China Sea. This book seeks to contribute to our understanding of the connected history of Buddhism in China and Southeast Asia.